NDJAMENA, Chad, April 30, 2015/African Press Organization (APO)/ -- The International Monetary Fund (IMF) and the World Bank's International Development Association (IDA) have decided to support US$1.1 billion in total debt relief for Chad, of which US$1.0 billion is expected to be delivered by multilateral creditors and the remainder by bilateral and commercial creditors. Debt relief under the HIPC Initiative from all Chad's creditors was estimated at US$170.1 million in end-2000 present value terms. 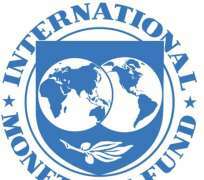 Debt relief from the IMF would total US$18.0 million and from the World Bank's IDA, US$68.1 million. After reaching the HIPC completion point, Chad also becomes eligible for further nominal debt service reduction from IDA (US$509 million) and the African Development Fund (US$236 million) under the MDRI. “The attainment of the HIPC completion point opens a new development era for Chad. It acknowledges the many efforts accomplished by Chad to exit from a difficult decade of conflict and instability, and allows refocusing attention and resources on Chad's forward looking emergence agenda. In the next months, the World Bank will present its new Country Partnership Framework to support Chad's aspirations over the period 2016-20, notably in terms of rural development, health, education, social protection, and governance,” said Paul Noumba Um World Bank Country Director for Chad. The HIPC Initiative. In 1996, the World Bank and IMF launched the HIPC Initiative to create a framework in which all creditors, including multilateral creditors, can provide debt relief to the world's poorest and most heavily indebted countries to ensure debt sustainability, and thereby reduce the constraints on economic growth and poverty reduction imposed by the unsustainable debt-service burdens in these countries. The MDRI. Created in 2005, the aim of the Multilateral Debt Relief Initiative is to reduce further the debt of eligible low-income countries and provide additional resources to help them reach the Millennium Development Goals. Under the MDRI, three multilateral institutions – the World Bank's International Development Association, the International Monetary Fund and the African Development Fund-- provide 100 percent debt relief on eligible debts to qualifying countries normally at the time they reach the HIPC Initiative completion point.